I wrote this short essay on the future of cities for the latest issue (#15) of Monocle. I was happy to see that other writers on the thinking cities -section were household thinkers (such as Alain de Botton, Richard Florida, Jonathan Raban, Ricky Burdett and Richard Alston). UN estimates that by 2050 half of the world’s population will live in “self-built cities” – informal settlements, slums. I hope they’re wrong. I hope we all live in cities that we design and create ourselves. If slums can be built by people with access to almost no resources, imagine what we in the developed world could do. The idea of self-built cities is the greatest promise for urban development. The idea is that we open up the creation of cities in the same way we have opened the compiling of encyclopedias and online-media to allow anyone to contribute. It’s the same principle that many industries are using to open up their R&D, design and marketing processes to their customers and which also inspires “open source” software development. Co-creating cities is one of the few positive developments in a problem-ridden tidal wave of urbanisation in the 21st century. And it’s one that could make us happier. Today if you measure life satisfaction, even in countries with growing economies, you will find that the line on the graph is flat. That’s because across the entire western world there has been a decoupling of the idea that more money equals greater happiness. Now, as we slide into a new global oil crisis the fundamental questions of our time remain unanswered. What can we do to raise levels of well-being in a post-carbon world? How can we increase quality of life in a world where more money does not bring it and which has effectively ran out of its material resources. There is tons of research into why some people feel happier than others. In the all the answers one thing keeps coming up: the ability to guide your own life. We are happy if we feel that we have power over our lives, if we have a voice. Our greatest urban problem is not spiraling property prices, nor the ageing population nor safety. It is not zero tolerance, queues for clubs and bars, it’s not chain restaurants nor is it ugly buildings or clone towns. These are merely symptoms. The core issue is that cities no longer enable us to live out our dreams. We have changed, but the cities haven’t. They remain the final bastions of modernistic design where users are seen as the masses and individuals are an obstacle. Even suburbia (on the surface a tasteless, mundane, hypermarket-bound high-carbon lifestyle) offers more potential for self-expression. That is why we fleeing cities. To lure us back we need cities that give us a voice. We need to take democracy to the next level, where it recognises our individual needs and dreams. 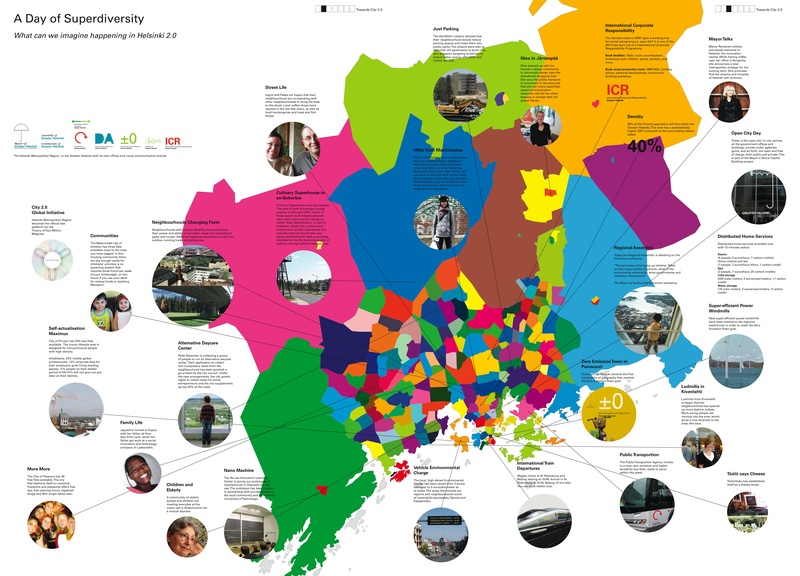 Demos NOW, an urban think tank, has created the concept of City 2.0 (PDF) – an urban ecosystem of social innovation, governance and social risk funding. We want to turn the Helsinki Metropolitan Area into a self-built city; a hi-tech low-carbon ”slum” with an unforeseen and unpredictable quality of life. A Wikicity. 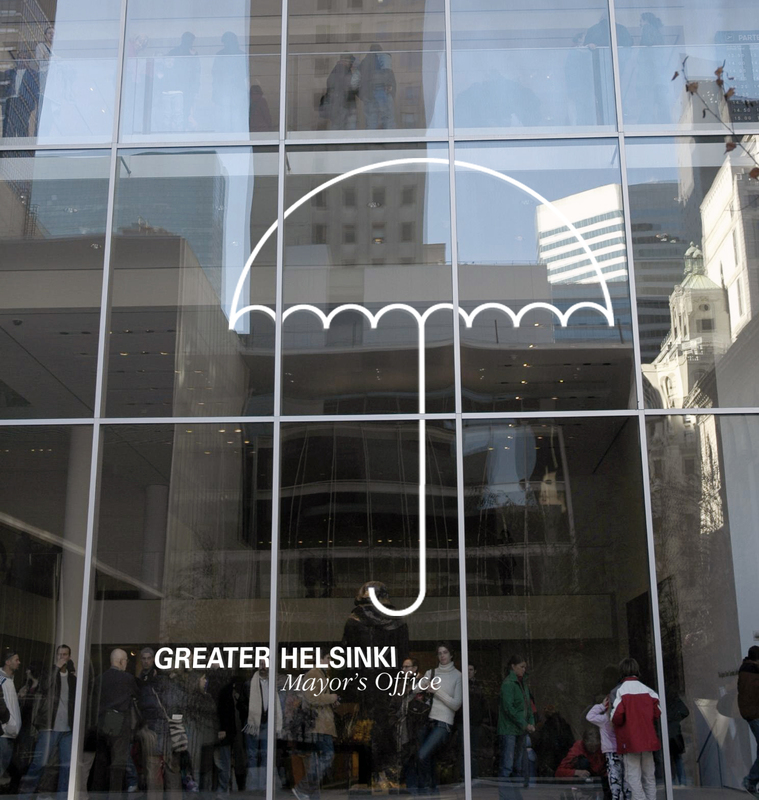 The creation of the self-built city is part an ambitious project that has been sponsored by Helsinki and its surrounding suburbs and towns to see how they could join together as one metropolitan area. The reasons for this are simple: to cope better with environmental challenges and also make Helsinki a more powerful and appealing economic hub (in Scandinavia everyone is battling the lure of Stockholm). In our proposal – which came second but along with the winner is now being developed further – we propose creating a low carbon supercity of two million inhabitants. This will also be linked by a tunnel to Tallinn, Estonia’s capital. Our city will also be a rail hub – just as airlines have recognised Helsinki as a key base for flights to Asia, we would promote the city as the starting point for super-fast maglev trains connecting Helsinki with Asia’s major cities. But in the City 2.0 the key element is how citizens re-engage with, and run, the city. In our vision of a self-built city you could open a daycare centre the same way you write a new entry on Wikipedia. This is made possible by a system of citizen-wikis or posting boards. If you think your area needs something, lets say a cheese shop, zebra crossing or green space, you could post your needs on a citizen-wiki and be connected with like-minded people to make it happen. 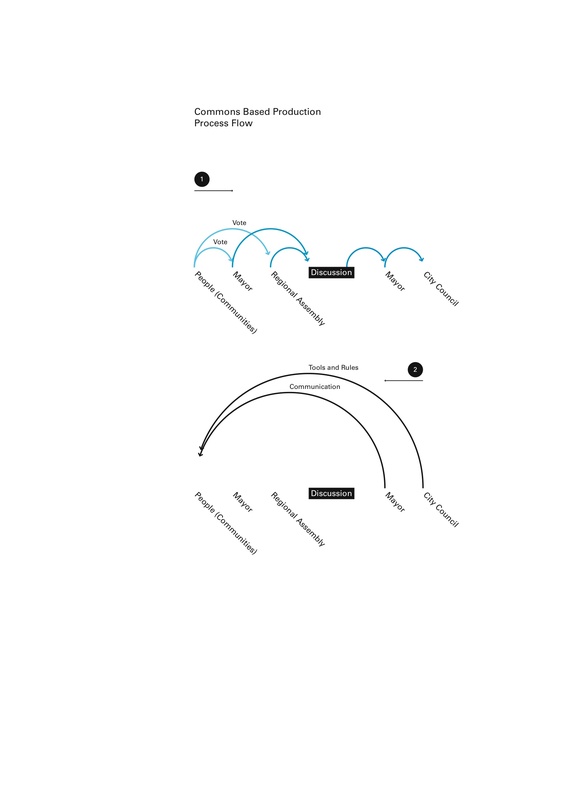 This “needs-mapping” system would help shape areas more dynamically than simple markets. From the citizen-wikis the main demands and concerns would be collated and these would then become the key policy initiatives or “commons” for the city. You would still need a mayor and councillors, but their role would be to push through these initiatives taken from the citizen-wikis. The mayor becomes the communicator of commons. And while there are planning rules you would be allowed to bend them to meet the demands of the people. If you would like to start-up a zero-carbon community in the city, the area would be given tax-reductions to fund the project as well as access to innovation elsewhere in the world. This is how social networking sites already work to cluster interests and connect people. It becomes revolutionary precisely when these types of virtual systems are used as the mould our physical surroundings and local governance. How do our current cities enable voices? They don’t. The declining interest in anything but the occasional mayoral elections tells a sad story. What city governments call citizen participation has become a joke among activist, citizens, academics, planners and intellectuals. The reason for the decline of public interest in cities is clear – why should we engage in something that does not change due to our participation? Voice is a powerful new resource. It has already changed how we use and make encyclopedias. Only four years ago no-one would have believed that millions of ordinary and extraordinary people could work together on a project like encyclopedia, let alone one that competes as an equal with Encyclopedia Britannica in reliability and beats it in scale. Then came Wikipedia. Cities are slower to build, but I believe that in 2050 we will look back and say the same about self-built cities or ”wikicities”. This is an area that interests me very much, and really enjoyed your article in Monocle, nicely done. 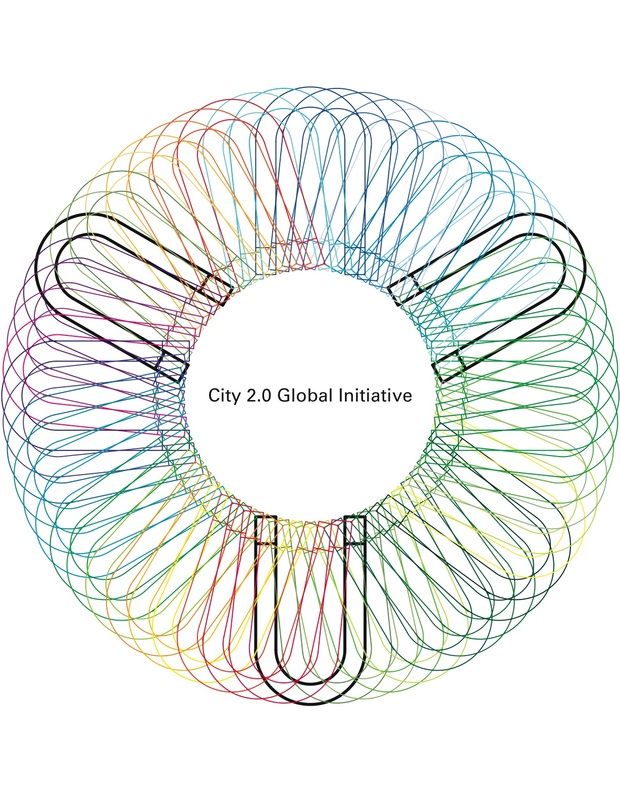 I haven’t been able to find much information on the subject of City 2.0 type initiaies and would really like to know where I can get more details on ’WikiCities” and similar delelopments or projects moving in this direction around the globe. If there are any souces you can share for interesting projects I would be very intersted in hearing about them. A closer democracy is always nice, even though it’s easy to abstract away peoples tendency to never get along. But I don’t recognize your claim that public interest in cities declines. Around me I see a very high level of interest in our city (Stockholm), and I have the feeling that the public voice reaches all the way to the decision tables and actually influences the never ending re-modeling of the city. Stockholm is in many sense unique, perhaps in this as well. It would be great if you could share some stories or insights into what has been done to make this access to decision making happen in Sweden. So Sudden, if your online, it would be very fruitful to compare it to what we are researching. Most indicators on traditional participation are down in most cities in the western world. There not much contrary evidence. Still: People a birth social and learn quickly to be virtuous. We are learning to build and use new tools for co-operation. This in turn enable new ways of organising social action. It is also evident that people feel that their voices need to heard and recognised so that they that our surroundings are ”me” (just look at the boom of home decoration and single family housing). With Wikicity we are saying lets put these together on a city level. Its sociability, tools of co-operation, deorganisation of labour and interest in ones surroundings what wikicities grow of.